Hours after Cardinal Jorge Mario Bergoglio was announced as the new pope, New York's Cardinal Timothy Dolan said Bergoglio, now known as Pope Francis, was already taking his role "very seriously." Dolan, the archbishop of New York, spoke about the new pope and the experience of participating in the papal conclave at a press conference Wednesday. "He obviously won our hearts because he's the new pope," Dolan said. Dolan spoke of Francis' sense of humor, recounting a joke the new pope made after his selection was announced. "He toasted us and he simply said, 'May God forgive you,' which brought the house down," Dolan said. "In other words, I hope you don’t regret this later." Francis, who is from Argentina, is the first-ever Jesuit and Latin American to lead the Roman Catholic Church. Dolan said he was touched when Francis asked the other cardinals if it was OK for them to have Mass at the Sistine Chapel Thursday afternoon because he wanted to visit former Pope Benedict in the morning and then say a prayer at one of the oldest churches in Rome. 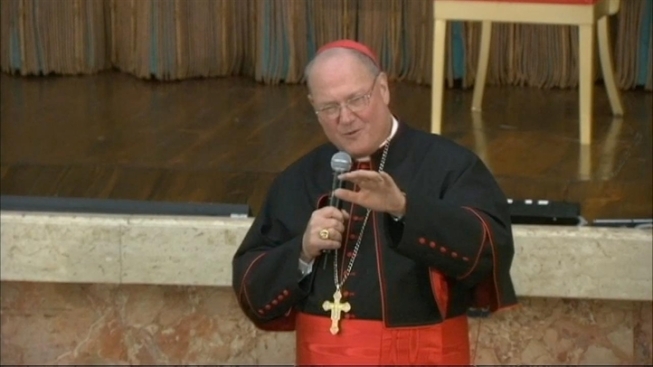 "It’s clear he already takes very seriously his role as Bishop of Rome," Dolan said. The cardinal described the experience of serving on the conclave and electing the new pope as something he would "never forget." He said he felt as if God had guided the cardinals in their decision. "You could just see a sense that this was in God’s hands," Dolan said. "Though that didn’t absolve us from the responsibility and the hard work that we needed to do on a human level, it was very evident to us."